The Friends of Scott Foundation (Friends to Children with Cancer) offers a scholarship each year to current or past cancer survivors. Education was important to Scott. It was his dream to one day attend the University of Notre Dame. In his memory, FOS offers assistance to individuals who have been diagnosed with childhood cancer and who chose to continue their education. We realize the impact that cancer can have in the pursuit of higher education and it is our goal to facilitate this process by providing assistance to get them started on their educational endeavors. 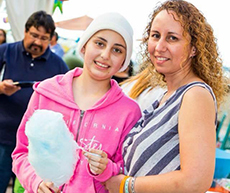 Our Special Dreams Program is for children who have been told by their doctors that they are losing their battle with cancer and for children who desperately need an emotional boost to continue their fight. This program is similar to the Make-A-Wish program. 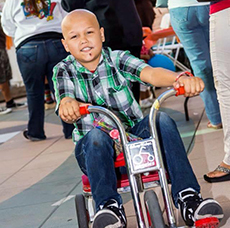 We provide mini-wishes for patients and their families such as trips to Southern California tourist attractions, concert tickets with backstage passes, premiere movie passes and tickets to sporting events along with a meet and greet with players. Continuous access to medical care is an extremely important component in remaining compliant with the recommended treatment regimen. The gas card fund provides assistance to transport the patients to medical appointments. For many of our families, even basic necessities like groceries can become an economic burden. Friends of Scott provides a one-time assistance with grocery cards to the patient and their families. Our signature event of the year is our "Unforgettable Prom" held at Balboa Park's Hall of Champions. Over 250 past and current cancer patients and their guest are invited to an amazing night of music, food and dancing. The children are provided limo service, tuxedos and gowns, and walk the red carpet in a night that turns into a memorable experience that children can cherish, however long that may be. All prom amenities and activities are free to the teens. 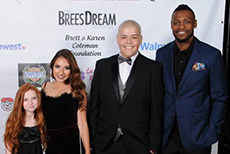 Our foundation is the only non-profit organization in the County of San Diego to host a prom for children with cancer. Our Kids Day brings together a fun carnival atmosphere complete with face painters, cotton candy, music, arts and crafts, and fun games for the children. This event is held directly on-site at Rady Children's Hospital in Carley's Magical Garden for children that are too ill or young to attend our "Unforgettable Prom." Our goal is to help create happy memories for patients and their families even while undergoing treatment at the hospital. Every year we take over 60 patients and their families to enjoy a baseball game at Petco Park, the San Diego Padres stadium. We feel everyone should be able to enjoy in America's pastime and our children are no exception. Sports, and baseball in particular, is a great metaphor for life. Life is about standing firm at the plate in the face of a 90mph fastball, but still swinging for the fences. Kids are able to immerse themselves in the baseball action, eat hotdogs, take part in the seventh inning stretch and forget about their rigorous treatment. Friends of Scott Foundation volunteers visit the Oncology Unit to provide books to patients and siblings. Our goal is to brighten the day of gravely ill children and to encourage them to discover the timeless joy of reading, despite their illnesses. The Ready to Read program provides free books for the children to take home and enjoy over and over again. Thanks to wonderful donors, the Annual Friends of Scott Pajama Drive gives kids in the hospital an opportunity to have a sense of peace and comfort during their hospital stays. There is no better feeling than having a sense of home when things are tough. The pajamas collected are distributed during the holidays and made available throughout the year. Your support is greatly appreciated! For more information please contact: Pajama drive coordinator, Gayle Brasga at gjbrasga@gmail.com or 951-695-3650. Every child and teen deserves to feel the joy of receiving a special gift during the holidays. Thanks to the generosity from many donors toys and gift cards are distributed to patients and their families at the Annual Rady Children's Hospital Holiday Party in December. All of the toys are collected and gift wrapped by Friends of Scott volunteers. For more information on how to collect Toys email carmen@friendsofscott.org.